Anyone who skates knows that exhilarating feeling you get as soon as you step out onto the ice. There are few sports that can equal the fast-paced fun and excitement of ice hockey! What’s great about playing in an adult hockey league like Shinny USA is that you don’t need to be a high-level player in order to get together with some locals who simply have a love for the game. Meeting new friends and just enjoying being on the ice is what Shinny is all about. For those who just don’t have the time to commit to playing on a team, our league is the perfect way to get into the game without making a major time or financial commitment. If the fun and camaraderie of playing ice hockey isn’t enough, there are wonderful health benefits – both physical and mental – to playing in an adult hockey league. You might be surprised at all the physical benefits there are to playing hockey. If you struggle with getting motivated to work out, playing hockey is an excellent solution. Let’s discuss some of the specific health benefits involved. Total body workout: Playing hockey is a fun and exciting way to get a total-body workout. The game’s fast pace provides excellent aerobic exercise, while using so many muscles as you play gives you a tremendous anaerobic workout. And hockey is much more appealing to most of us than going to the gym — you get the benefits without the boredom. Burns calories/boosts metabolism: With the pace, constant movement, and additional weight of the protective gear, playing hockey burns some serious calories — and who doesn’t need that? The physical demands of hockey can also boost your metabolism, which is a bonus, especially for those of us who are starting to feel our age. It’s a great way to keep weight under control. Develops the cardiovascular system: Due to the start-and-stop nature of the game, there are plenty of short rests in-between plays which improve the physical benefits even more. If you work all day at a computer, you need exercise that gets your blood pumping. Hockey does just that as it improves circulation and lung capacity. Builds muscular strength: All of this fast-paced activity is also going to build up muscular strength. Hockey helps fight flab and keep muscles toned and powerful, and it has a significant impact on core strength. Not only will you build strength, you’ll also build up muscle mass and increase the strength of your bones. Improves coordination and balance: Another plus that comes from playing hockey is improved coordination and balance. If you work a sedentary job, chances are that over time you will see a decrease in your coordination as well as your balance. As the saying goes, use it or lose it! Develops hand-eye coordination: Guiding a puck around the ice with a stick requires skill and dexterity, so the more often you get out onto the ice, the better. You will build up your speed, agility, and power at the same time if you play hockey. Hockey doesn’t just provide benefits for your physical health — it can have significant positive impact on your mental health as well. It’s easy to get caught up in life’s details and drudgery and focus on the negative. You might be surprised at the difference playing hockey a few times a week makes on your outlook, and that effect is cumulative. Positively affects mood: Participation in sports like ice hockey are known to have a very positive psychological impact because they cause the body to release endorphins. Endorphins are chemicals produced by your body that affect your mood and can help with feelings of anxiety, stress, and depression. This can also result in a brain boost, as your decision-making abilities become better honed and your focus dramatically improves. Before too long, you’ll start noticing improvement off the ice as well. Encourages spirit of teamwork: Another compelling benefit of participating in adult hockey is that it encourages a spirit of teamwork. Learning (or re-learning) how to successfully work as a team member can be a big boost to your mental well-being and an excellent life skill. Boosts confidence: Honing and mastering skills can make you feel truly accomplished, and in return, confident. Although we might keep it carefully hidden, many of us suffer from a lack of confidence in one or more areas of life. Getting out on the ice and improving your skills is a confidence builder, and that lift will extend into other areas of your life as you keep learning. 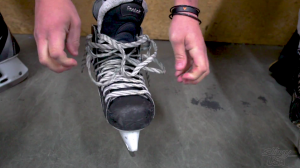 There are safety precautions you need to take when playing ice hockey. As with any sport, a certain amount of inherent risk exists any time you play, but you can minimize the chances of injury by using common sense and practicing good sportsmanship. Always wear appropriate protective gear and follow any safety tips you are given. It is also important to warm up before practice or a game and to take time to cool down properly afterward. Join Our Shinny USA Adult Hockey League! 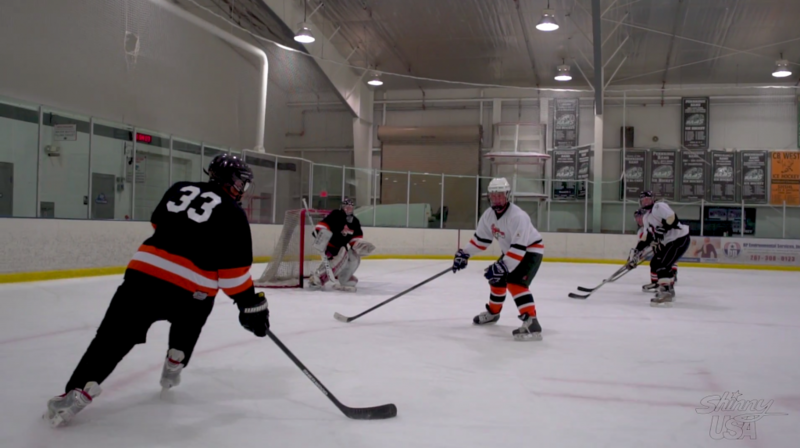 So, has adult recreational hockey caught your attention? Great, now it’s time to contact Shinny USA! We are a non-competitive, recreational adult hockey league operating in seven ice rinks in and around the Philadelphia area. Our goal is to provide a fun, safe, and organized ice hockey program for adults regardless of their playing experience. Our games provide the fun of competitive hockey, but in a relaxed atmosphere where you can enjoy the sport and the camaraderie of your fellow players. Games take place at the following rinks: Ice Works in Aston, Hatfield Ice Arena, The Skatium in Havertown, Oaks Center Ice, Ice Line Quad Rinks in West Chester, Penn Ice Rink in downtown Philadelphia, and Skating Club of Wilmington. We hope to see you on the ice soon!